Amazing poster archive from Norway. 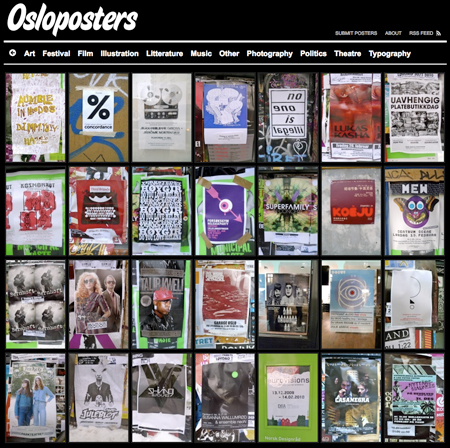 Above: On a John Malinoski tip, here is an excellent poster resource, Osloposters. Showcasing a vibrant poster scene, the site is run by Stig Anderson, whose own website (see splash page below), offers it’s own fascination. Stig explains that he was inspired by Jarr Geerligs set, often referenced here. He also features contributions from Helene Ryenbakken and Are Kleivan (equally fascinating graphic designers, check it!). Mange takk, Stig and friends, for what you are doing. Next: Elisabeth Workman / Nine poems. 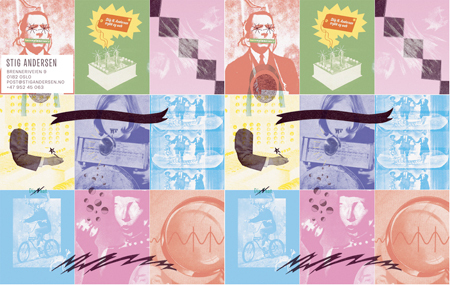 Osloposters (dot) net: Amazing poster archive from Norway. Lucky find through John, Eric, glad you enjoyed it it. Maybe try reaching out to them, seems like a really dynamic group! This entry was posted by Erik Brandt on Saturday, February 20th, 2010 at 11:48 AM	and is filed under Aktuell, Education, Ephemera, Geotypografika, Globalization, Graphic Design, International, Internet, News Links, Photography, Typografika, Typography.